Hair gods, hear our prayer: please don’t EVER let beach waves go out of style. Messy, lived-in waves have that cool-girl chic vibe and don’t require a lot of maintenance: indeed, this style’s perfection lies in its imperfection. But actually achieving that carefully undone texture can be tricky. Too little, and the style falls flat; too much, and you’ve got the fork-in-a-light-socket effect. 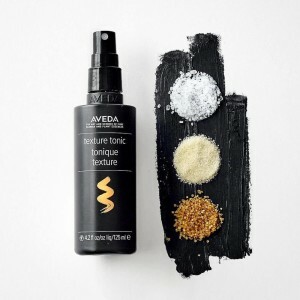 Enter Aveda’s Texture Tonic. Its one goal: to make that effortless style, well, effortless. And boy it does live up to its promise. Like most salt sprays, this one is also made with salt—which helps contract and compress hair, instantly creating piecey, defined texture. 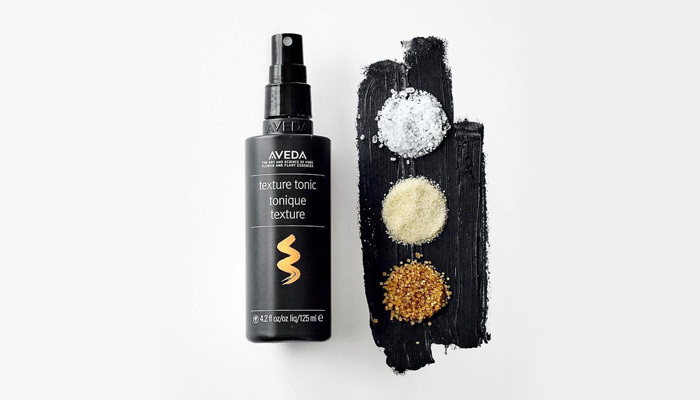 But unlike most salt sprays, Texture Tonic also contains organic cane sugar, a natural humectant that leaves hair touchable and infused with natural shine. That means your tousled beach waves are soft (no crunch) and won’t dry out. Bonus: certified organic ginger, ylang ylang and clary sage envelops your enviable mane in a sweet floral and spicy citrus aroma. Whether you’re stretching the life of your last shampoo or just love great-smelling hair (and hey—who doesn’t?) 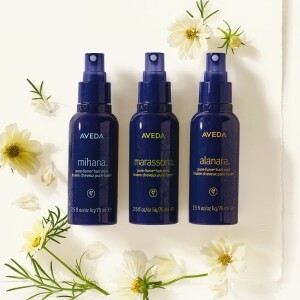 Aveda’s Hair Pure-Fume Mists add that extra something to take your hair from lackluster to next-level. Their three distinct scents are quick-drying, last all day and infuse an extra softness and shine to your hair. 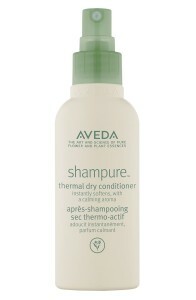 Aveda’s second solution for non-shampoo days goes hand-in-hand (hair-in-hair?) with the above. Spritz some Thermal Dry Conditioner onto tired, frazzled locks to weightlessly condition, detangle and soften. This fine mist doubles as a heat protectant, and is an ideal precursor to touching-up dry hair with a curling wand or flat iron. 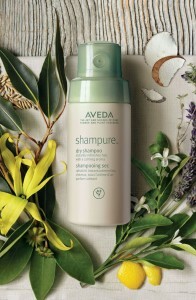 (And lest we forget: that iconic Shampure aroma is always a crowd-pleaser.) A blast of Dry Shampoo at the roots and Thermal Dry Conditioner at the ends and you’re good to go, no shower required. Don’t take our word for it — stop by Belle Salon & Spa to give these products a test drive. Once you’ve experienced a true one-minute style upgrade, you won’t be able to remember how you managed before.